Anandpur Sahib: Dal Khalsa and its youth wing Sikh Youth of Punjab (SYP) welcome the removal of “Sikh (Khalistani) Extremism” reference in the Canada Public Safety Report 2018. This correction of mistake by the Canadian government was a victory of lobbying and diplomatic efforts of Sikh Canadians and Diaspora, said leaders of both the groups. Dal Khalsa general secretary Paramjit Singh Tanda said the step is also a snub to the Indian lobby which earlier managed the unsubstantiated reference in the report. He urged Canadian government to be careful of following India’s absurd logic in future. 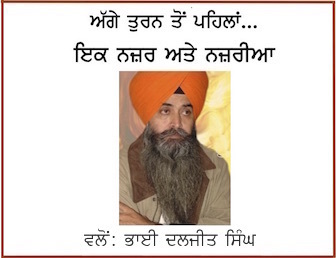 In a concerted attempt to step up its campaign to restore the original Nanakshahi Calendar, SYP launched the year 551 calendar in its original form, as designed and prepared by Canada-based Pal Singh Purewal, accepted by the SGPC general house and ratified by the Akal Takht Sahib in March-April 2003 but debunked by the SGPC executive in 2010. “We are determined to restore the Nanakshahi calendar to its pristine glory, said party president Paramjit Singh Mand. The calendar was dedicated to 550th anniversary of Guru Nanak and was released after performing Ardas at Takhat Kesgarh Sahib. Talking to the media, he said, “Nanakshahi Calendar is a manifestation of the distinct identity. We view the SGPC made amendments as “abject surrender in the face of the expansionist designs of RSS leaders aiming to subsume the Sikh religion. Paramjeet Singh Mand castigated the state government and the security agencies for framing the youth under flimsy charges in the name of neutralizing the referendum 2020 campaign. Seeking referendum isn’t a crime, rather its peaceful and democratic method to get conflicts resolved. We are crystal clear that solution of Punjab problem lies in referendum through right to self determination under UN. Gurnam Singh, vice-president of SYP said the disrespect and desecration of Guru Granth Sahib continues till date. Sikhs are emphatically opposed to all schismatic sects that were underscoring the fundamentals of Sikh religion in a silent and systematic manner. 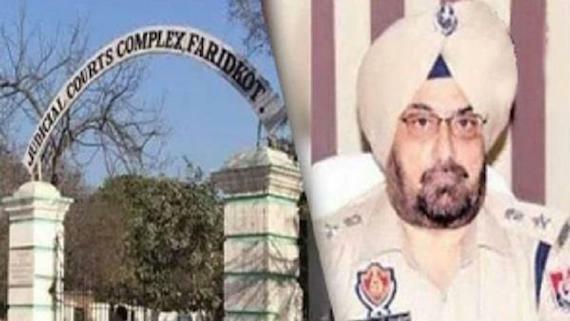 Referring to Barghari sacrilege and Behbal Kalan incident, SYP leaders said the Election Commission of India has grossly erred in removing the key investigator IG Kunwar Vijay Partap Singh from the investigating panel. “He needs to be reinstated immediately so that the investigation into the sacrilege and police firing should not get derailed or scuttled”. 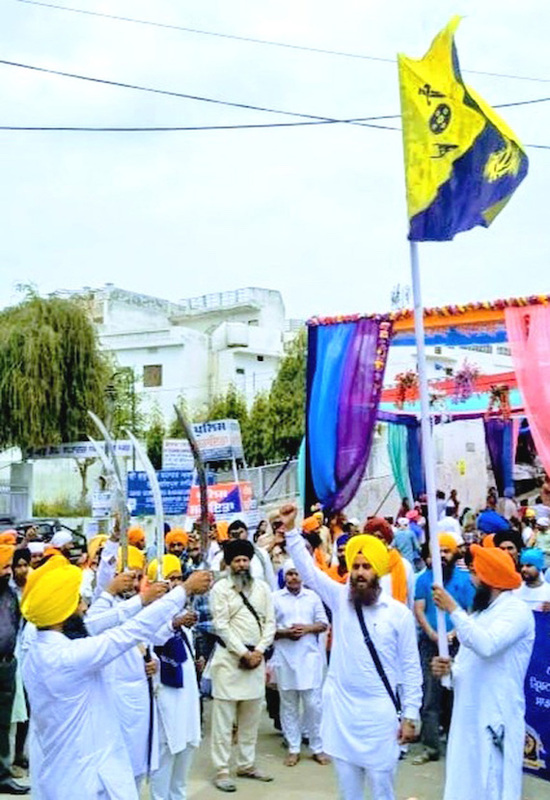 To commemorate the Khalsa Sajna Diwas on Baisakhi day in 1699, the activists of the group unfurled Flag symbolizing Sikh Sovereignty amidst Bole So Nihal, Raj Karega Khalsa and Azaadi is our birthright.